One of the Ash, hearty soup, that I fondly remember my grandma making is Asheh Mast. My grandma was a wonderful cook and everything that she made was simply delicious. I remember sitting in the kitchen and watching her cook when I was little and I can honestly say, I feel in love with food and cooking by simply being around her. 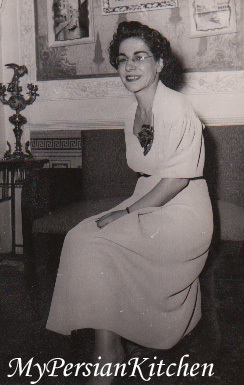 Her name was Fakhri Iran, but to me she was simply Maman Fakhri…she was truly a remarkable woman and when she was younger, she was definitely a glamorous lady! When I decided that I wanted to make Asheh Mast I consulted a couple of cookbooks, asked a few people, and talked to my mom who told me how Maman Fakhri made this ash. I got a whole bunch of different opinions. Some people use spinach in this ash, some people don’t….some people use mint, some people don’t…some people use lentils, some people don’t…some people use split peas, some people don’t…. In the end I decided that Maman Fakhri’s recipe had to be made on principal!!! My mom shared an interesting fact with me that I would have never guested or remembered. She said that my grandma used to make this ash with sheep liver. I nearly fell off my chair when I heard that…. This is a pretty easy ash to make. 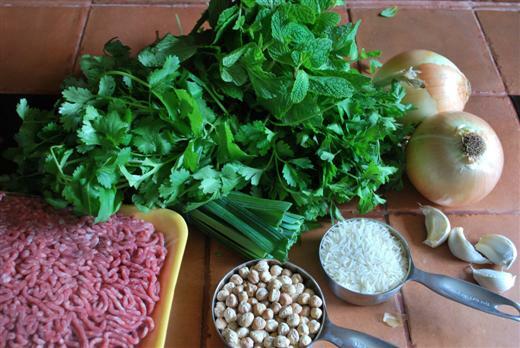 These few ingredients make up for a very delicious and hearty soup. Saute one of the onions and 3 garlic cloves until translucent. Add 1/4 tsp turmeric give it a stir. 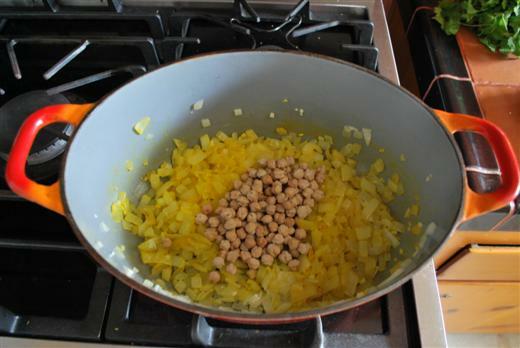 Then add chickpeas. Give them all another stir. Add 4 cups of water, a dash of salt, cover and cook for one hour. In the mean time, grate the second onion and one garlic clove. Place in a bowl and add 1/8 tsp turmeric, salt and pepper. Mix well together. Add meat and mix it all well. 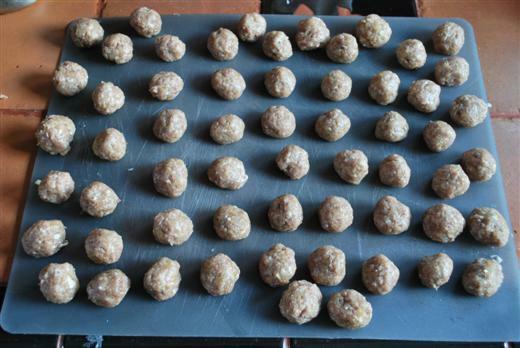 Make meatballs with the meat mixture about the size of a cherry. Add rice to the beans along with 3 cup of water. Cook for 15 minutes longer. 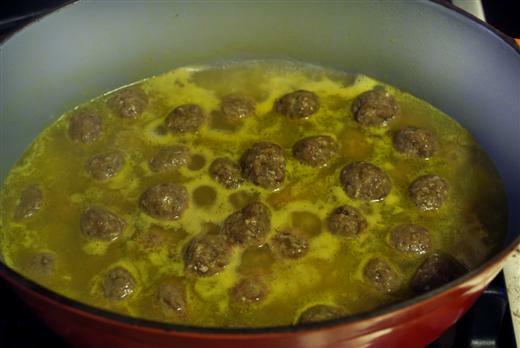 Add meatballs to the beans and rice. Add salt & pepper to adjust seasoning. 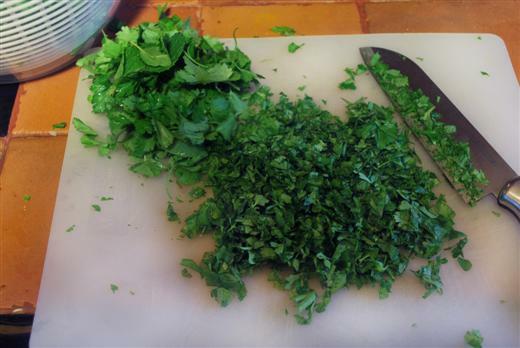 Add herbs cover and cook for 2 hours on low. While cooking make sure to stir the pot every so often to make sure that the bottom doesn’t stick. Further adjust seasoning if needed. Once the Ash is ready you can either add 2 cups of yogurt to the pot or a dollop of yogurt to each bowl. If you are adding the yogurt to the pot, let it warm through gently making sure it does not boil. This recipe made a nice pot full of ash. Remeber that you can always freeze the leftovers and eat them later! what a gorgeous, delicious looking recipe you have shared with us today. And your Grandmother looks so beautiful in that photo. How lovely you have good memories of her. We had friends from Iran many years ago, and I often wonder what became of them after it all changed. I think I shall make this recipe soon, perhaps to celebrate the end of the term in school. I still just adore that photo of the tadiq at the top of your blog! Thank you for the recipe! Gaile, thank you for your sweet words. I have many many fond memories of my grandma, she was truly a remarkable woman. Let me know how the soups comes out!! Your grandma for sure was beautiful and adorable. 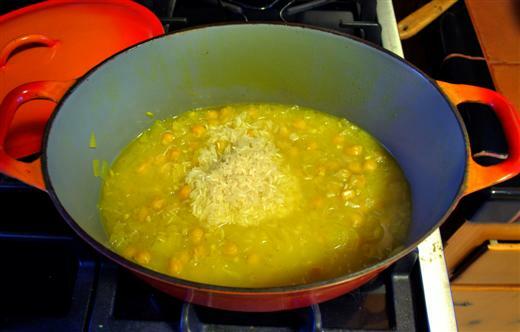 I make this ash too but with split peas , lentil and little bit rice I also add spinage. Your version is good too. Last night I made Lobia Polo, I thought it’s not a bad idea if you do a post for Lobia polo (the one with green beans ) and Shirazi salad. It’s easy to make. Maryam, this business of the different ways asheh mast is made nearly drove me nuts!! Lubia polow, yes, yes, yes, it is on my list!! 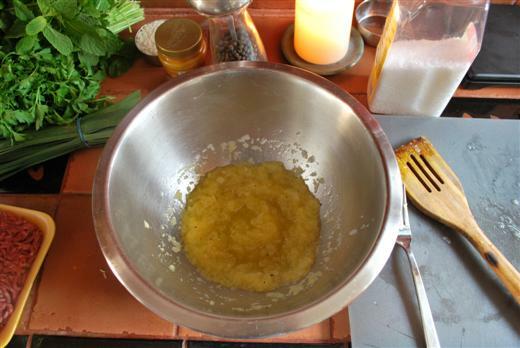 Salad Shirazi is a must and it will appear very soon! Looks amazing. It makes me feel all nice and warm just looking at it. What a perfect winter soup! Indeed, it is a great winter soup Bria! Thank you shayma for your sweet comment. I really wished I had more of her recipes. I am making this as I type. “How long til dinner is ready, come on!” I’ve been hearing that for an hour now, patience is a virtue! Anyway, I am writing to say I love your blog. I dated a Persian man for 2.5 years and I learned MANY amazing things about the Persian culture, and now incorporate them into my own life, despite him being out of it. 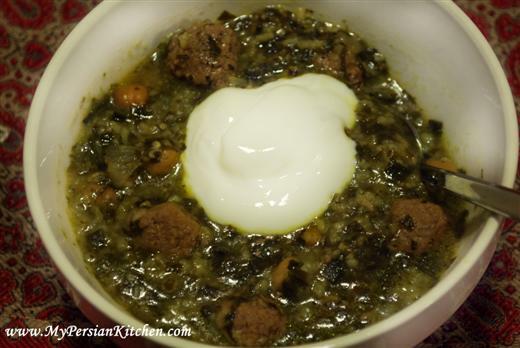 I just love Persian food and would like to say keep up the great work on the blog it’s really neat! Doesn’t the Ash smell heavenly as it’s cooking? It was driving me C.R.A.Z.Y!! Thank you for your kind comments and your appreciation for our culture. Your words brought a huge smile upon my face! Let me know how the ash was!! Hey Persian Kitchen! Thanks for this recipe. I am attempting to make a vegetarian version of this now and I’ll let you know how it turns out. I am not sure about the rest of you guys, but I LOVE soup! 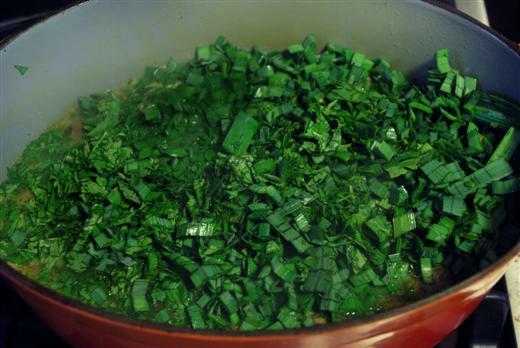 Persian Kitchen, would you happen to have a recipe for Soupeh Jo? My husband has requested this of me and I am not able to make it the way he likes it or remembers it. Any help? I love soup too! I have not made soupeh jo in years. I will definitely put it on my list of recipe requests!!! 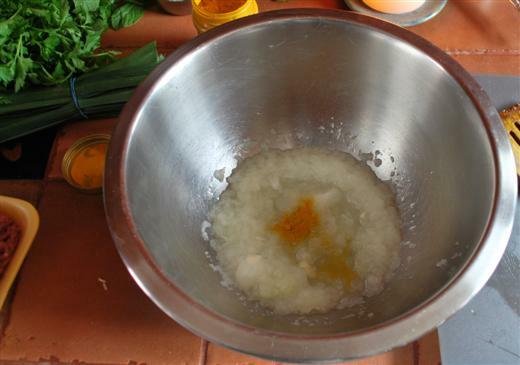 sanam- someone has just told me that i should add one egg yolk and some flour so the yoghurt doesnt curdle- but my grandmother never added that in her ash-e-mast. i am making it this weekend and wanted to ask you for advice- it’s always nice to know what the general consensus is among the persian foodie/cooking community. you are right the different versions drive one insane! but egg yolk and flour is a new thing i have heard. Thank you for sharing. I had made this soup from a cookbook a while back and loved it. Im in the process of moving to a different state and didn’t have my book with me. All I had to do was look at your website. Nothing makes you feel like you are home like Persian food. Thank you for your website and making me feel at home today. Thank you for the beautiful /yummy ashen mast recipe from your grandmo.I am sure she was very kind and made the best foods.I am going to make it tomorrow and kikoi forward to it.will let you know of my success.thanks, Mali.